Winter Field Day happened to fall on a SEARS rocket launch day at Samson, Alabama. Chris VA3ECO and I did about 2.5 hours of operating when we weren't distracted by rocket launches. The weather was about 50 degrees. With a breeze, that was enough to keep us honest. We had fourteen QSOs with a mix of CW and phone for 120 points. However, the bonuses stacked up giving us a total a total of 6120. 1,500 points for setting up outdoors. 1,500 points for satellite QSO(s). The rig was my Icom 7100 at less than 100 watts with a 40 AH LiFePO4 battery. The antenna was the Chameleon 5 to 1 transformer and 65 feet of wive as an inverted L. This was good enough to give us a taste of the action. 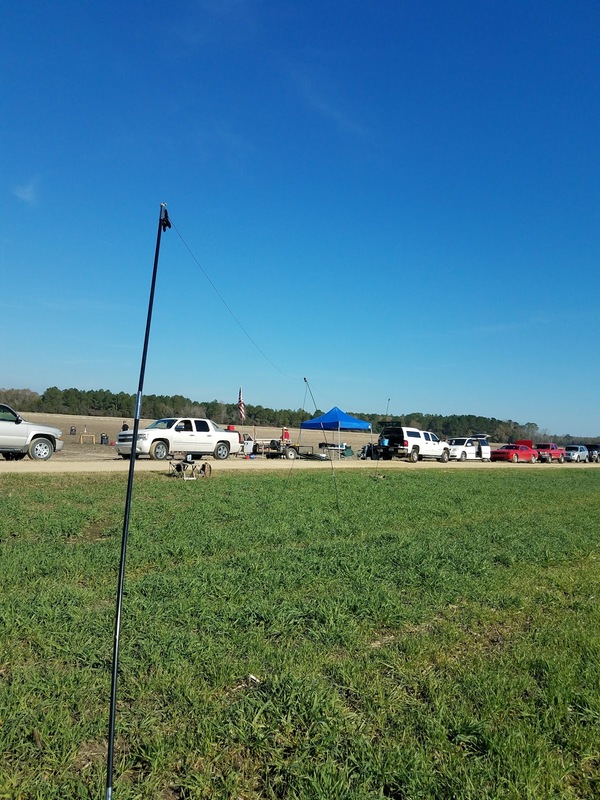 Below are a few rocket photos and the sound from the AO 85 satellite QSO. The satellite QSO was not until Sunday morning. Chris put together this video of the launches. 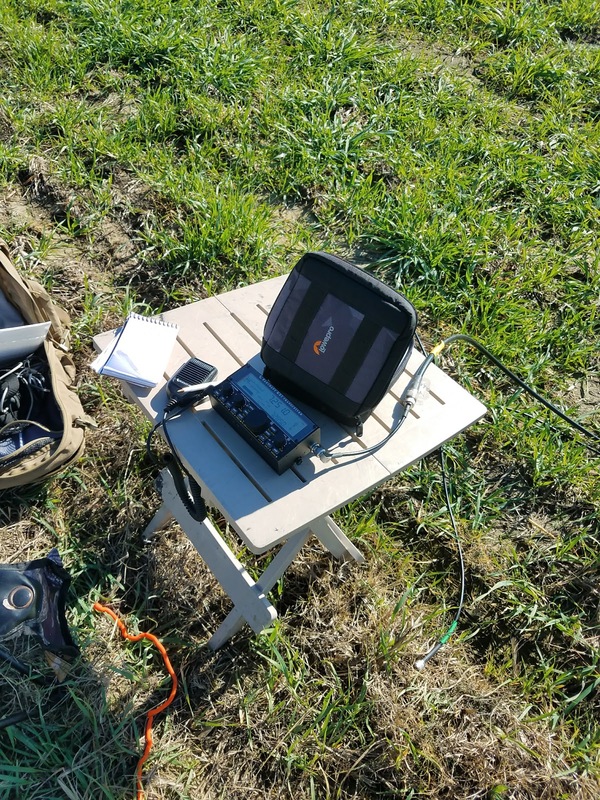 Radio-wise, I setup my Elecraft KX2 for 40 meters. 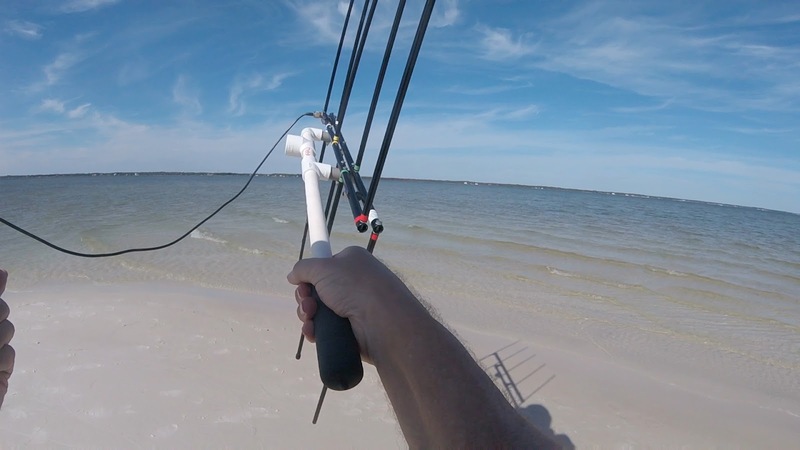 I did not have any luck getting back to my buddies in Panama City or Dothan, However, the NVIS Dipole did well to at longer distances to Florida and Georgia. I had the honor to work KM4ZVC/AG for his first HF QSO as a new General Class. Suzy enjoyed trips up and down the road on the farm. I took her off the leash for some of that. I also did a SO 50 satellite pass. I got K3GDS at grid FN00 and N8IUP at grid EN81. The launch site is EM61. The 2016 ARRL National Parks On The Air event was awesome. I was not close to many National Park Sites. However, Gulf Islands National Seashore SS08 was nearby. I activated SS08 eight times as N4KGL. Bob KK4DIV, Mike AI4NS and I activated SS08 as N4P at the Biodiversity Festival. We had a booth at the festival where we did a real-time propagation experiment and got lots of young people on air. Beyond that, I made a day trip to the Jimmy Carter High School in Plains, Georgia. I also stopped by the Natchez Trail on a trip to Nashville, and activated the Santa Fe Trail on a trip to Kansas. I was able to do all three RaDAR Challenge Events April, July and November. 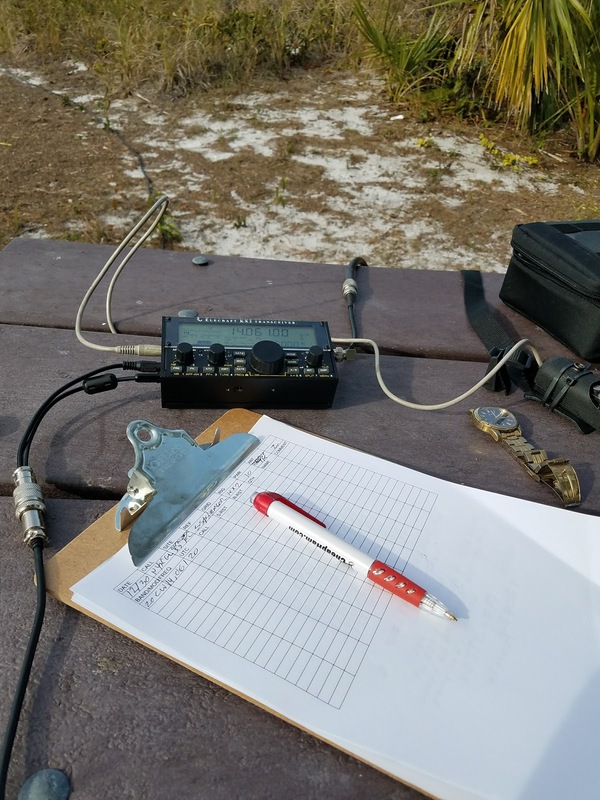 A new portable operating activity started this year called the Second Saturday Sprint which is April through October. It gives you credit for anyone you work. That fits in with RaDAR style ops nicely. 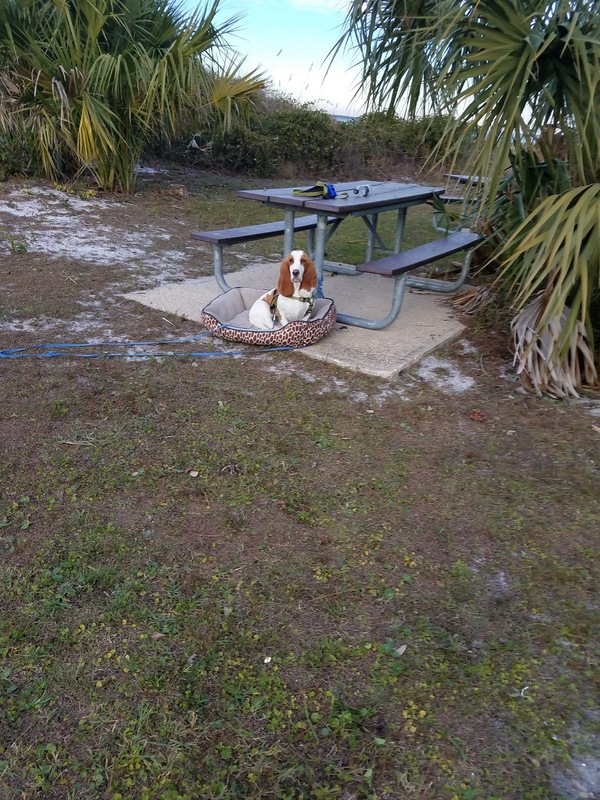 I did Field Day with the Panama City ARC as usual. I got the Elecraft KX2. Now I use it for all my portable ops. I like the small size, light weight, up to 10 watts, internal battery, and internal tuner. That is hard to beat. I found I could attach a whip and counterpoise and operate it as a hand-help for pedestrian mobile. Even 40 meter contacts are possible with the whip. I started learning how to use the amateur satellites for portable operating. So now I include a satellite pass on most outings. It is a different mindset for the radios. I have used several. The most recent is the Kenwood TH-D72A which is capable of full duplex. It is also very capable doing APRS with an internal GPS. Another new discovery was the World Wide Fauna and Flora Program which has a National Program called KFF. I have done some activations already. 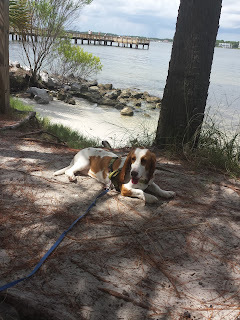 It is going to encourage me to visit all the State Parks here in Northwest Florida. It applies to National and State Parks. This can be the replacement for National Parks On The Air. Linda and I enjoyed Micky KE8ASK and John W8JER on their visit in during the winter. 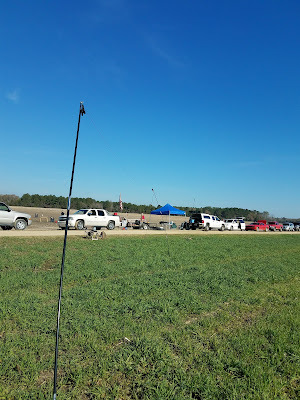 We also met up with them at the Huntsville Hamfest also along with Craig NM4T at the Monte Sano gathering. 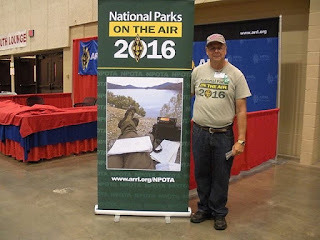 I gave a talk on NPOTA at the hamfest. With respect to the blog and YouTube I now use the GoPro Session to document my outings. I learned that I can't talk that well but that's me. Of course, Suzy has been my companion on most outings. She will draw a crowd and cons them for belly rubs. 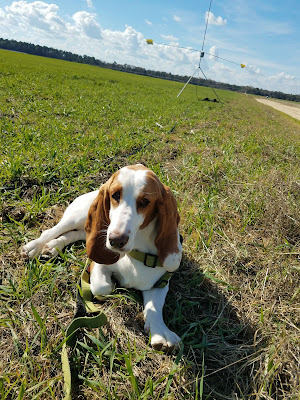 She definitely gets RaDAR and is leading the way between stops. I actually know she is the star of this blog and pulls in the hits. 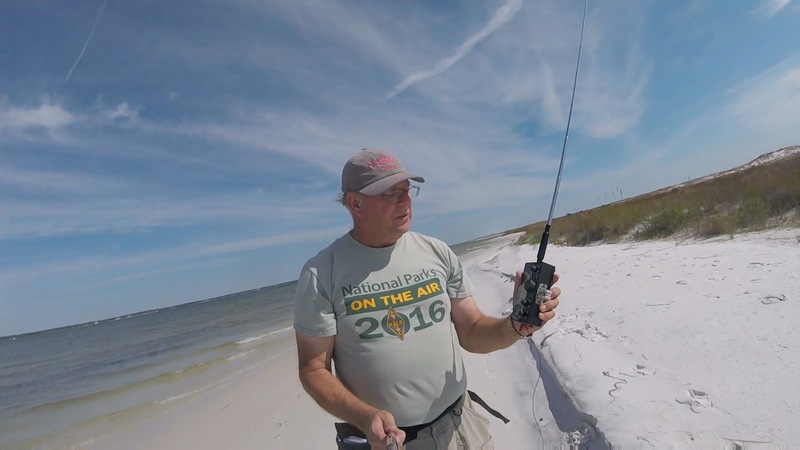 The ARRL 2016 National Parks On The Air Event has concluded with the years end. 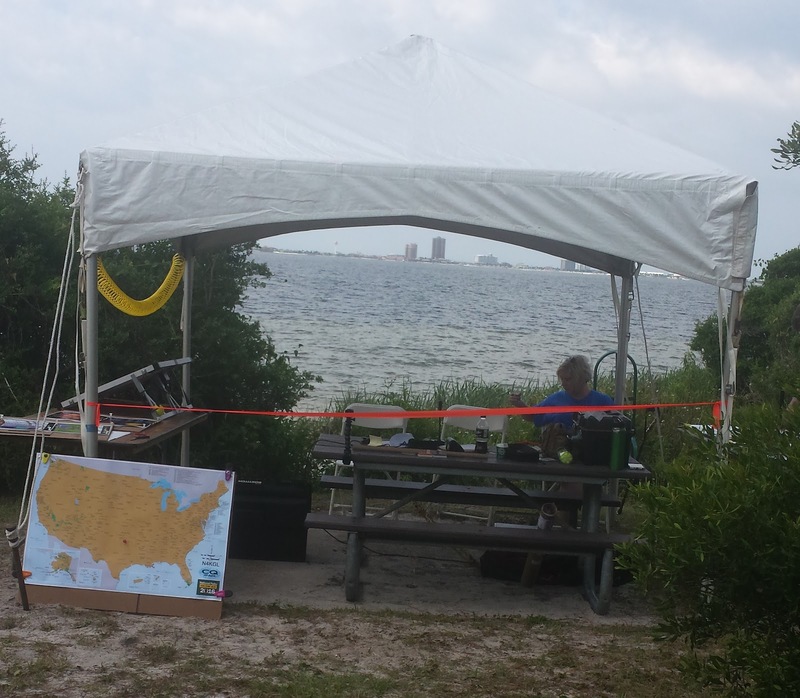 It was a very popular amateur radio event to help celebrate the National Park Service Centennial. So I decided to squeeze in one more activation. I chose the closest site for me. It is the Okaloosa Island Day Use Area which is a little more than an hours drive just West of Destin, Florida. 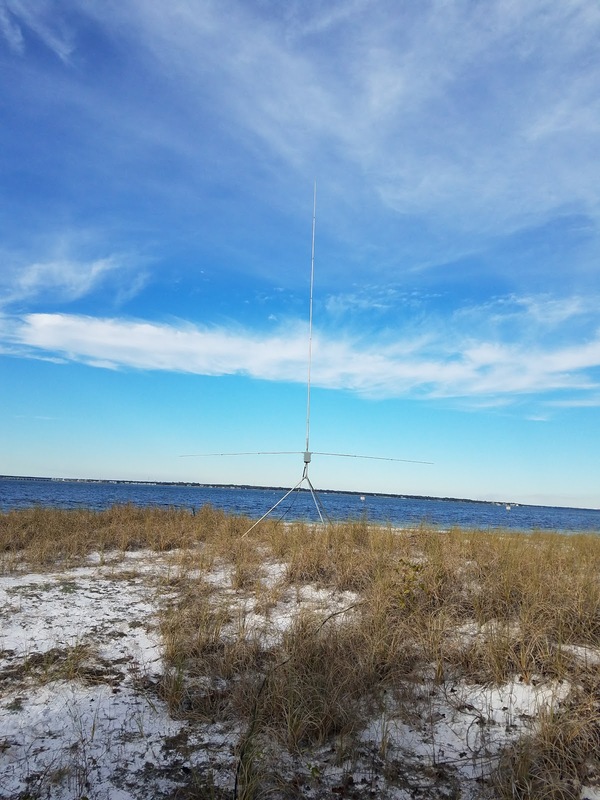 It is part of Gulf Island National Seashore which is designated SS08.l upload my logs to Log Book Of The World LOTW and the World Wide Fauna and Flora system. Note the NPOTA SS08 is KFF-0661 under WWFF. This is my eighth SS08 activation and the sixth time at this Okaloosa Island site. The weather was a bit chilly at 55 degrees (F) and cloud cover. I started with a SO 50 satellite pass which netted two contacts. On HF I used the Elecraft KX2 running ten watts to a N6BT Bravo 7K vertical. 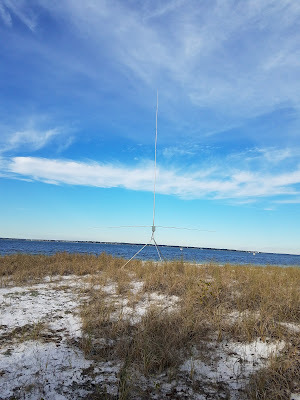 I used 100 feet of RG-8 to get the antenna close to the saltwater shore on the North side. I did not go with my NVIS antenna for 40 meters since foF2 was not above 7 MHz. That nixed any HF contacts back to Panama City. I was able to use the longer skip on 40 meters. I snagged Craig NM4T near Huntsville which was as short as I could get. 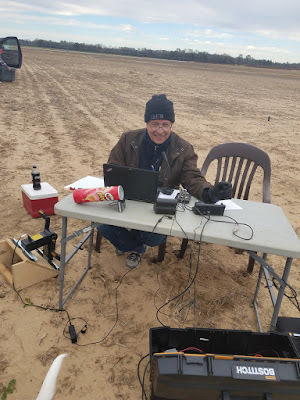 It was a surprise and pleasure to work Craig my buddy and the Huntsville QRP guy. Also Suzy was my buddy once again. NPOTA has been a great experience. It ended too soon. My plan right now is to continue my start with the WWFF-KFF for portable activations. It has hunters which are the equivalent to chasers in NPOTA.. You can take credit for 2016 NPOTA activations in that system by submitting your logs. The nice thing about KFF is that it includes National and State Parks. There are lots of State Parks in Northwest Florida for sure.